Another expansion and another legendary down. This week i managed to complete my ring with the help of some pretty good RNG for a change. 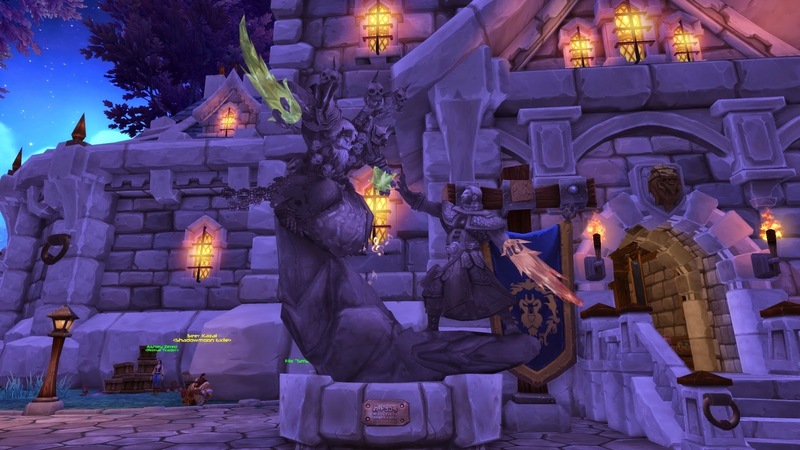 I snagged my Thorasus, the Stone Heart of Draenor and proceeded to be completely underwhelmed. It’s a ring, which obviously means no one can see it. That aspect alone speaks volumes of how little i think of it before we even get to how it works. 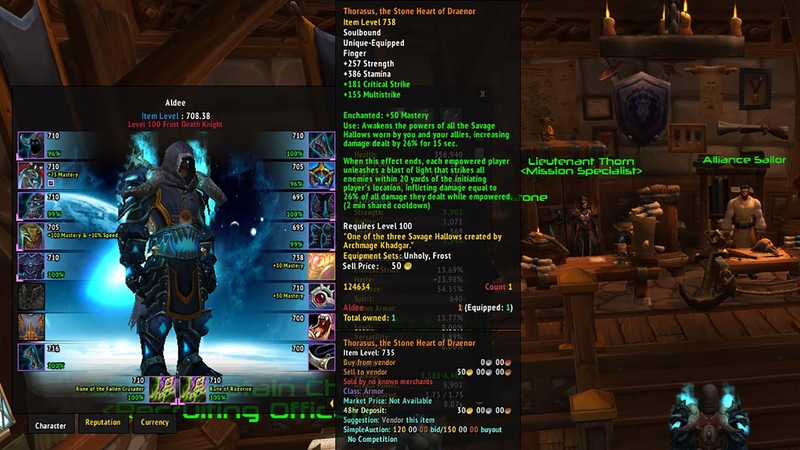 We somehow went from capes/cloak last expansion to…rings? Who’s idea was this and how was this person not slapped back into coherence for suggesting it? If the fact that we now have a legendary that isn’t even visible wasn’t bad enough, lets get into how the damn thing actually works. It’s an “on use” item with a two minute cooldown that just happens to be globally shared by everyone in the raid who also happens to have a ring. That’s right! We now have a legendary on use item that’s pretty much out of everyone’s hands except for that one dedicated person who gets to use it. Is that not dripping with legendary prowess? I sure feel legendary holding it, as i’m sure everyone else does as well. The damage output is insane, there’s no denying that. My guild had five rings complete this week which drastically lowered our kill times on every single boss in Hellfire Citadel. My issue comes down to not what it does but how it does it. I’m not in control of it’s use, which isn’t much of a problem within guild runs as it is in pugs. Since it’s on a two minute cooldown, it also means that those classes that happen to have three minute cooldowns are sort of screwed. I happen to be in this boat when i play Unholy, which means i can’t line up my gargoyle with it every time. That’s a lot of lost damage in the long run. It’s simply not fun and that’s the bottom line. Lets try and get a little more creative next time Blizz. If you dare make the next legendary item a trinket or some other non visible item, i’m coming to find you. All of you. I wasn’t lucky enough to be playing the game back when the legendary items were weapons but i can safely say that system was way better. I’d love for them to bring back legendary weapons into the mix even though i could see the problems that may cause. Even with those problems, it’d be a hell of a lot better than rings. C’mon son. Even John Rambo would be depressed about rings and he blew up bad guys with a bow. This was obviously Murdock’s idea.